Often referred to as South Africa’s Mother City, Cape Town has become the destination of choice for holidaymakers, families, couples, honeymooners and many other travel groups. This city lies along the coast, boasting not one but two oceans. Home to iconic landmarks such as Table Mountain, the V&A Waterfront, Long Street and Robben Island, world-class beaches and a host of things to see, do and discover. It also offers some of the finest accommodation, including these luxury retreats that offer daily housekeeping, free WiFi, guest concierge and other touches that add to your stay. Situated in Camps Bay, Valtameri is a spacious 5 bedroom, 5 bathroom villa offering ocean views and a host of features that add to your stay. Highlights include a modern Scandinavian and African inspired interior, swimming pool and ocean-facing deck, multiple indoor and outdoor relaxation spaces, a fully equipped kitchen, beautifully furnished bedrooms and a close proximity to beaches, bars and cafes. Also in Camps Bay, Glen Sunsets is a contemporary 3 bedroom, 3 bathroom villa. This modern villa has everything you could ever need for your stay, from a swimming pool and large deck overlooking the ocean to a fully equipped kitchen, indoor and outdoor dining, a hot tub, secure garage parking, a spacious living room with gas fireplace and plenty of other luxurious touches. With 4 spacious bedrooms, 5bathrooms, a luxury spa with incredible views, well-equipped gym and full home Cinema, Oceana Villa is a luxury retreat situated in Clifton, close to the finest beaches, restaurants, and boutiques in Cape Town. This 4-bedroom villa is truly unique featuring a variety of modern comforts and it’s perfect for a romantic or family getaway. Highlights include 180° ocean views from the bedrooms, en-suite bathrooms with automatic sensor lighting, a well-equipped gym and an advanced Crestron home automation systems and more. Offering 6 bedrooms, 6 bathrooms, a swimming pool and plenty of modern touches, Serenity is a 5-star villa in Camps Bay. Highlights include a hot tub, sauna, gym, cinema, games room, fully-equipped kitchen, indoor and outdoor dining and relaxation areas, an additional after-hours butler and more. With 6 bedrooms and 5 bathrooms, Galazzio is a 5-star villa that offers a sought-after location in Camps Bay, within walking distance to the beach. Highlights include a garden, heated swimming pool, terrace, hot tub, conservatory/library, a child-friendly bedroom, a modern kitchen and a butler service during the week. A large family-friendly villa situated in Upper Constantia, offering 7 bedrooms and 7 bathrooms, Constantia Cape Velvet ensures a relaxing break. Highlights include spacious bedrooms, well-manicured garden, BBQ area, and a swimming pool, a large terrace offering sea and mountain views, a fully equipped kitchen and ample space for larger groups of up to 14 guests. Buddha Villa is a luxurious Hout Bay villa boasting 3 bedrooms, en-suite bathrooms and a host of features. Highlights include water fountain, a wooden deck with swimming pool, Herb and Zen gardens, Koi pond, wood BBQ, outdoor dining, double garage with remote access, an open deck with outdoor lounge area with incredible sea views. It features two lounges on the upper floor and ground floor with plenty of space to relax and unwind. This villa is ideal for couples, friends and families. 15 Ottawa is a 4 bedroom, 4 bathroom villa in Camps Bay. This 4-star retreat offers an ocean-facing swimming pool, open-plan design, sunroom, pool room, large patio, modern kitchen, and multiple relaxation areas. The Camps Bay beachfront and its restaurants and bars are just a short walk away. Maison De Ville is a 4-star villa located in a quiet residential area in the City Bowl – Oranjezicht. Highlights of this 4 bedroom, all en-suite villa include a scenic garden, a swimming pool, outdoor and indoor relaxation areas and a fully equipped modern kitchen. This luxurious villa is perfect for a get together for friends and family as well as romantic getaway for couples. V & A Waterfront and Cape Town International Convention Centre are within easy reach. With 4 bedrooms, 4 bathrooms and a host of luxurious touches, Villa 31 is located in Camps Bay. This villa offers mountain and sea views, with a private pool, roof terrace with hot tub, a full gourmet kitchen, indoor and outdoor dining areas, gym, library and study. The beachfront of Camps Bay is a short walk away from this contemporary villa. James Woolley is Founder of ComeToCapeTown.com. 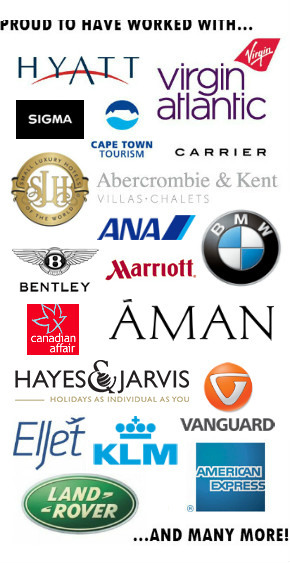 ComeToCapeTown.com is an independent travel portal based in the heart of Cape Town, South Africa, offering a diverse range of accommodation along with car hire, tours, guest concierge and more.